Kerala is famous for its traditional Ayurvedic Healing Treatments worldwide. We have various packages for various ailments. All rates are in INR. a- Ground, Whole Spices- Black Pepper, Cinnamon, Nutmeg, Mace, Cardamom, Cloves etc. b- Liquid Extracts of Spices, Red Chilli Liquid, Lemongrass etc. and blends like Tea Masala, KesarRose etc. c- Powder Spices, Turmeric, Cumin, White Pepper etc. 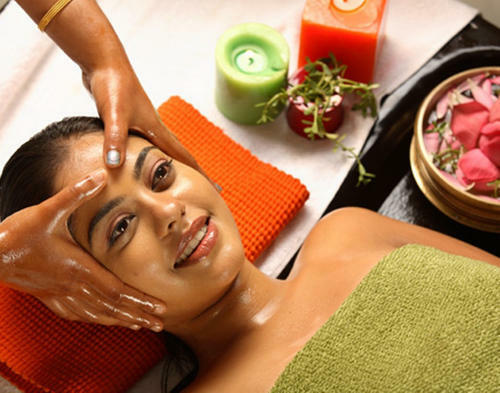 Kerala is famous for its Ayurvedic medicines and treatments. We deal in various ayurvedic medicinal health products, including patented. We have herbal and ayurvedic beauty almost 1000 products from Luxury to medium price range. Handmade herbal Neem, Thulasi, Turmeric, Saffron, Jasmine, Rose, Papaya etc. Baby Massage oils and baby food. Sanitary and hygiene products, breast enhancer etc. Women's and Men's welness products range. Room fresheners, difussers, aromatic candles. etc. Wooden art, handicrafts, bamboo products, terracotta products, paper bags, paper flowers etc. Potatao, tomato, curry leaf, watermelon, banana and lot more. Cashews, Almond, Dates and fusions. Cake, ice cream mix, Chicken mix etc. All types of handmade essential oils and blends. Pure forest honey. Honey with herbs. From Rice to Pickles and jams and Chutneys. Edible oils to Cereals and Pulses. Within one year of short time we today have nearly 50 manufacturers and sellers. We do have GSTIN and IEC. We assure you a quality service always, it does not matter we are cheper or not, we give priority to quality not to cheap products.